Digital manufacturing is making a big impact on many areas of medicine, from small things like the machining of aluminum test tube holders to futuristic practices like the 3D printing of titanium implants. 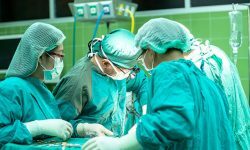 Of the many medical applications of digital manufacturing, one particular area coming on leaps and bounds is the creation of anatomical models — physical replicas of organs, bones and other body parts that can be used by medical professionals to train doctors or prepare for surgery on patients. These anatomical models can be made using different manufacturing technologies and from different materials, and their use is on the rise all around the world. With digital manufacturing technologies like 3D modeling software and 3D printers, it is now easier than ever to quickly and affordably create lifelike anatomical models for education, training or surgical purposes. These models can be generic and used to illustrate healthy or affected body parts in lectures or classes, or can be patient-specific, created using medical imaging data in order to physically replicate a body part of an individual patient. Patient-specific anatomical models are one of the most exciting applications of digital manufacturing technologies, since they can allow surgeons to see and feel a lifelike copy of the damaged or diseased organ on which they need to operate — sometimes well in advance of the actual procedure. By getting to grips with a physical scale model, surgeons can be much better prepared for the operation, trying out various incisions or motions on the plastic replica before having to carry out the real surgery. This added level of hands-on preparation helps increase the chances of a positive outcome for the patient. A big part of the process of creating patient-specific medical models is obtaining data from the patient’s body. Doing so requires the use of CT or MRI scanners, equipment used in hospitals to examine patients and check for various problems. These scanners use X-rays or strong magnetic fields to obtain a picture of a patient’s brain, lungs or other body parts. Unfortunately, medical imaging devices aren’t designed to capture 3D images. Instead, they produce a series of 2D slices, which — taken as a whole — enable doctors to analyze a patient’s body. But those 2D slices can quite easily be transformed into a 3D shape: once medical professionals have their set of 2D images, which are commonly stored in the Digital Imaging and Communications in Medicine (DICOM) format, software can be used to convert the data into a digital 3D model. 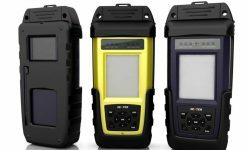 That on-screen model can then be altered, resized or even colored, and can then be processed in the relevant way before being sent to a 3D printer or other machine. One of the best new ways to create anatomical models — of both the patient-specific and generic kind — is additive manufacturing, or 3D printing. Using Fused Deposition Modeling (FDM) or Stereolithography (SLA) 3D printers, medical professionals can rapidly fabricate models using the converted digital information from CT or MRI scans. And since 3D printers can be kept in laboratories or even offices, it takes only a very short time to carry out the entire build process. While FDM is the most common and affordable 3D printing technology, many in the medical field prefer SLA for anatomical models. The light-based technology is compatible with translucent and semi-translucent resins, and 3D printing with such materials can be useful for presenting a complex organ with internal sections (which can in turn be embellished with distinctive colors). For anatomical models with a more general use — those being made for educational rather than surgical purposes, for example — other technologies can be just as useful as additive manufacturing. 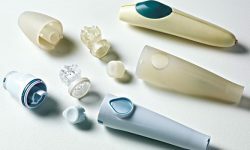 Injection molding, for instance, can be a cost-effective way to fabricate multiple copies of a single model, which can then be used by multiple users in hospitals or educational institutions. The digital manufacturing of anatomical models is more than a passing trend. In fact, countless lives have already been saved around the world thanks to replica plastic body parts. Earlier this year, surgeons at Guy’s and St Thomas’ hospital in London used multi-material 3D printing to prepare for a complex kidney transplant on a two-year-old child. Before that procedure, doctors at the People’s Hospital of Jilin in China used a 3D printed model to aid their treatment of a baby suffering from a heart defect called Total Pulmonary Venous Anomalous Drainage. With more and more medical professionals adopting digital manufacturing to create accurate anatomical models, doctors are becoming more informed and better equipped to save the lives of their patients. Looking for anatomical models or other digitally manufactured medical equipment? Contact 3ERP, a company with experience in medical device manufacturing, to see if its on-demand manufacturing and prototyping services can be of use.